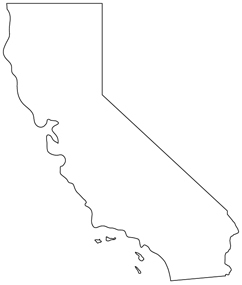 There are many California computer forensics firms and experts serving the state. In addition to those working in the private sector there are also the computer forensic experts working in law enforcement. Working in local, state, and federal realms, these individuals might work for less immediate compensation, but pension and health care benefits ensure that they will be taken care of down the road. Not to say that the private sector doesn’t have competitive benefit programs, but usually law enforcement agencies are unionized and have well established plans for their employees. Pay for computer forensic examiners working independently from law enforcement is typically making significantly more up front, some even making near and above the six figure mark. Computer forensics colleges in California are easier to come across than the rest of the country. Degrees in computer forensics in California are found in a wide range of educational settings. From four year colleges to two year community colleges, programs in computer forensics can be found. With three levels of achievement, the College of San Mateo offers a certification of completion, a certificate, and an Associates Degree in Computer and Information Science. Each program is progressively more in depth than the prior. Solano Community College, Fairfield, CA, offers a computer forensics program within their criminal justice field of study. Santa Rosa Junior College in Santa Rosa, CA, has an Introduction to Computer Forensics program. Also available in California is the Certificate in Computer Forensics at Cal State Fullerton. While these programs ready an individual to enter the field of computer forensics, they are few and far between; even in the great state of California. Findings like these have given way to the popularity in online and distance learning. Ahead of the curve, more and more online universities are offering these degrees and certifications in computer forensics. While the flexibility of learning from home is enticing, no one can argue with the sheer number of institutions with available computer forensic programs. When it comes to standard operating procedure in computer forensics, every state has its own laws and procedures. Currently, California is operating with regards to the Federal Rules of Civil Procedure Amendments. There are no additional state laws or statutes on the books in California concerning computer forensics or data recovery; however, California recently proposed new e-discovery rules. California is among the majority of the states which require any individual practicing data recovery with the intent of using found information in a court of law be a licensed Private Investigator in that state. This is referred to as electronic discover or e discovery. While this is not an issue for the Law Enforcement Agencies working across the country it could prove to be an obstacle for those working in the private sector as computer forensic “specialists”*. Currently, the average salary for a California computer forensics examiner is $74,000**. According to the U.S. Department of Labor, the mean salary for 2006 in California was $44,180*. These numbers are within the national findings when comparing the average income in computer forensics with the average state income. While $66k** is the average annual earnings for a California computer forensics examiner across the state, there are incomes across the state that exceeds the average significantly. Computer forensic professionals in San Francisco, CA, are making upwards of $79k** annually. While it is entirely possible this huge fluctuation could be in part due to the extremely high cost of living in the city of San Francisco; however, computer forensic examiners typically make more in the metropolitan areas across the country. The rest of the major cities across the state of California fall right in line with the average pay for computer forensics. Currently, a computer forensic examiner is making $72,000** in Los Angeles, CA, while in Sacramento, CA, they’re making an average of $70,000**.